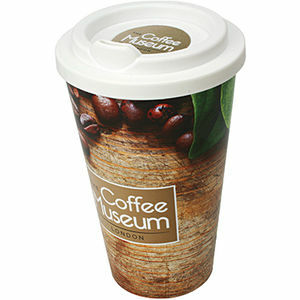 Double-walled insulated caffé mug with 360 degree full-colour print for maximum brand exposure! Complete your mug with a secure screw top lid in an eye-catching colour with an optional decal sticker for additional impact (POA). It has a generous 350ml capacity and is BPA free.